When the XFC promotions rolls into Albuquerque this Friday it will mark the show’s first time hosting a MMA event in New Mexico. On September 6th, the Albuquerque Convention Center will be full of fight fans eagerly watching some of the best talent currently on the XFC roster. Amidst the ranks of the XFC weight divisions several New Mexico athletes reside including Chavez Dojo’s Joby Sanchez, Team Four Corner’s Angela Magana and FIT NHB’s Tim Sosa. There will also be a Jackson-Winklejohn fighter joining in on the festivities. Landon Vannata (2-0) will put his unblemished record on the line against a much more experienced fighter when he takes on American Top Team’s J.P. Reese (9-6). Vannata was a standout wrestler before making his transition into mixed martial arts and his home gym couldn’t be any better in terms of preparations for MMA competition. Training out of the Jackson-Winklejohn camp, Vannata has built upon his wrestling based talents with the addition of the vaunted striking pedigree that comes with training under the tutelage of Mike Winklejohn and Brandon Gibson. An improved grappling acumen only made the all-around talents stronger which may be best shown in that Vannata has finished two of three career fights via submission. Listed as hailing from Rochester Hills in Michigan, J.P. Reese is a true veteran in MMA through 15-career bouts. Reese has competed for Bellator MMA, Strikeforce, the IFL and CFA. Stepping into the cage with notable opponents such as Bobby Green and Vagner Rocha; Reese has a plethora of MMA experience that has made him a very coveted commodity for the XFC’s 155-pound division. Reese is known to be a tough out for anyone as his grinding style makes defeating him a tall task. He has won six of nine fights via judge’s decision and his most recent finish was a 2012 submission victory via Brabo Choke. Clearly Reese’s style is strength oriented and positional dominant, making the bout with Vannata an interesting one. 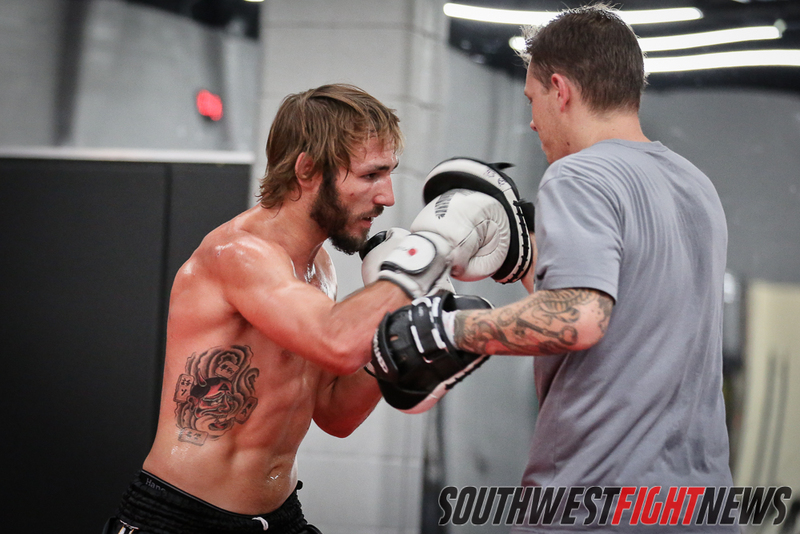 Vannata has excellent credentials as a high school and collegiate athlete but has truly shined in his early endeavors within MMA. Vannata truly flies under the radar as he is arguably one of the most talented prospects in the area. His last bout in Puerto Vallarta, Mexico was a quick, exciting finish that briefly showcased his grappling dominance. With a takedown from the clinch, Vannata slickly gained back mount where he would punish his opponent with strikes before finding the opening for the fight ending choke. Reese is susceptible to the submission; being submitted in three of his six career losses and Vannata definitely will look to capitalize on that should the fight hit the ground. Reese is very durable and Vannata may have a tough time finishing the fight. The experience factor may play a role as well as Vannata has never seen a judge’s decision nor has he seen a third round. This will also be the first time Vannata fights twice in the same year. Age is an intriguing factor in this match up as Vannata is still in his young 20’s while Reese is pushing to be 33-years old this December. Will the youthful Vannata impose his will on the battle tested Reese or can the American Top Team fighter play the spoiler to the Jackson-Winklejohn representative? Stay tuned to SWFight.com for more event coverage, fight breakdown and analysis. We encourage fight fans to clear the schedule for this Friday evening as XFC 25 “Boiling Point” will be live inside the Albuquerque Convention Center. Send and show your support to the local, hardworking athletes and welcome in the XFC as they make their in-state debut.